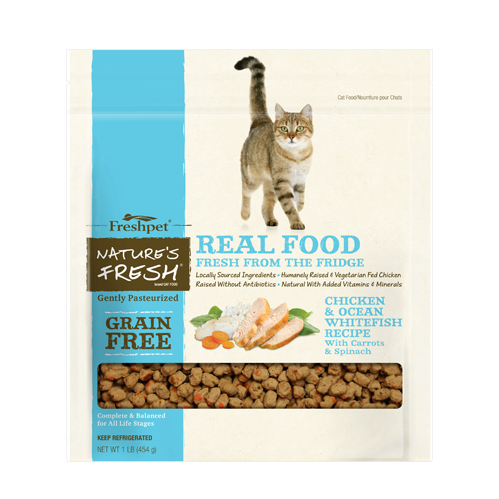 At Freshpet, we believe that fresh, all natural ingredients are the healthiest for our pets. The more over-cooked these ingredients are, the more nutrients they lose in the process. That’s why we use real chicken, turkey, beef and never any meat meals. We then cook them at lower temperatures to retain more of the nutrients dogs and cats need. 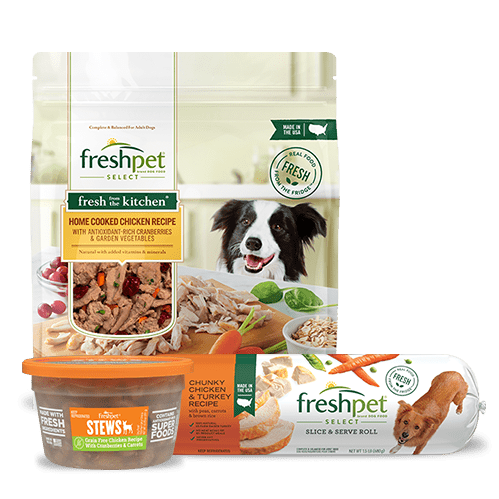 Chicken meal is an ingredient used by many pet food manufacturers because it is cheaper, easier to produce with, and can be stored for longer. Chicken meal is made by taking the “leftovers” of chicken after meat has been removed for human use. This is cooked in a process called rendering: grinding the chicken down and cooking it at very high temperatures for several hours to make a powder or meal. And because chicken meal legally can contain 4D animals (dead, dying, diseased or disabled chickens), it is not permitted for human consumption. 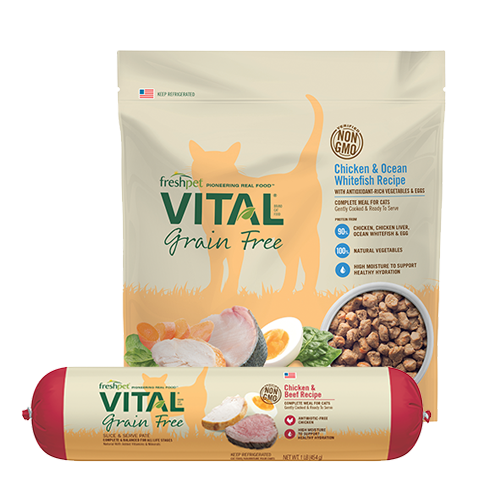 We know that fresh chicken is more easily digestible than chicken meal by our dogs and cats, and that it helps them retain more essential nutrients. 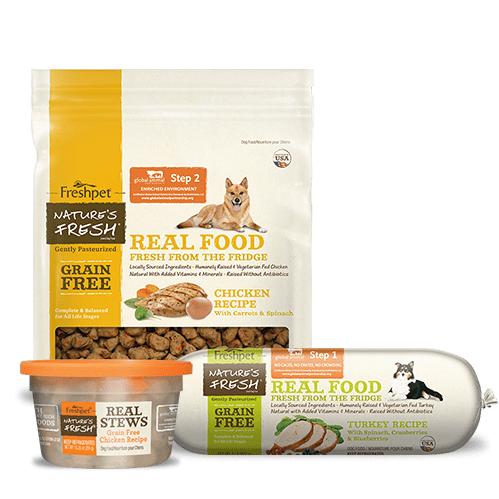 And we believe that our pets deserve to eat the same ingredients that we do. That’s why we never use meals. What’s the difference between fresh meat and meals? 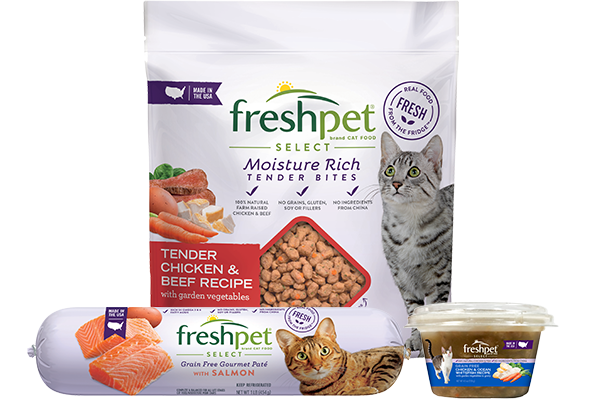 Chicken meal is commonly used in most commercial pet foods. You’ll see it on the label of most dry foods. Chicken meal is “a dry rendered product from a combination of chicken flesh and skin with and without accompanying bone,” most often leftovers from the meat used for human consumption. Rendered means it’s ground down, melted and cooked for hours to finally create a powder. It is then cooked again to make pet food. Why do you choose not to use Chicken Meal? 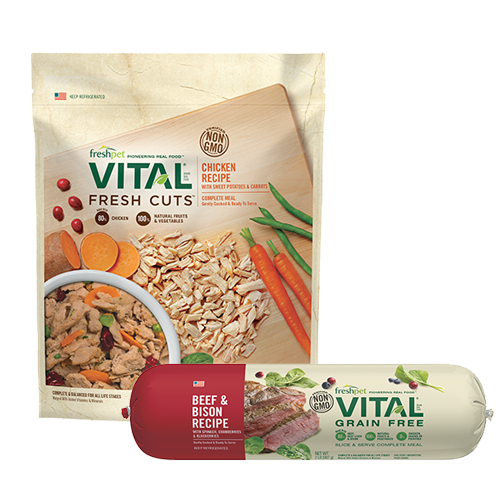 We know that fresh and all natural ingredients are better for humans. They’re easier for us to digest and allow us to retain more nutrients. We’ve learned through studies that the same is true for our pets. What we feed our pets should be no different to what we eat ourselves. This is why we choose not to use ingredients like chicken meal or other meat meals as they are overly processed and much different than their original, whole state. 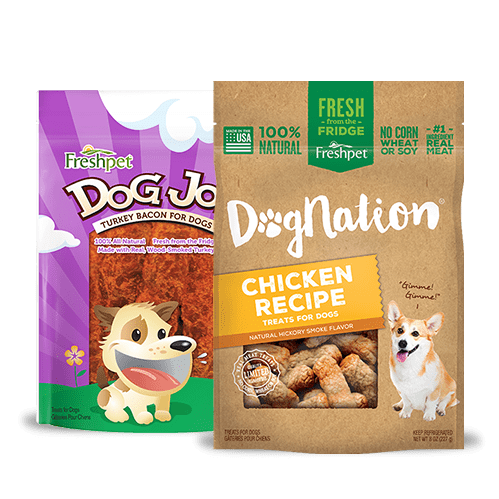 Is Chicken Meal bad for dogs? No, chicken meal is not bad for our pets. It can provide a suitable source of protein, but the source of chicken or other meat meals can be a mystery. I’ve heard Chicken Meal is higher in protein – is that true? While chicken meal is higher in protein, we’ve seen through studies that the digestibility of a food is actually more important. The amount of digestible protein is what counts for proper nutrition, good coat and good stool quality rather than the amount of crude protein or the actual protein content in the food. 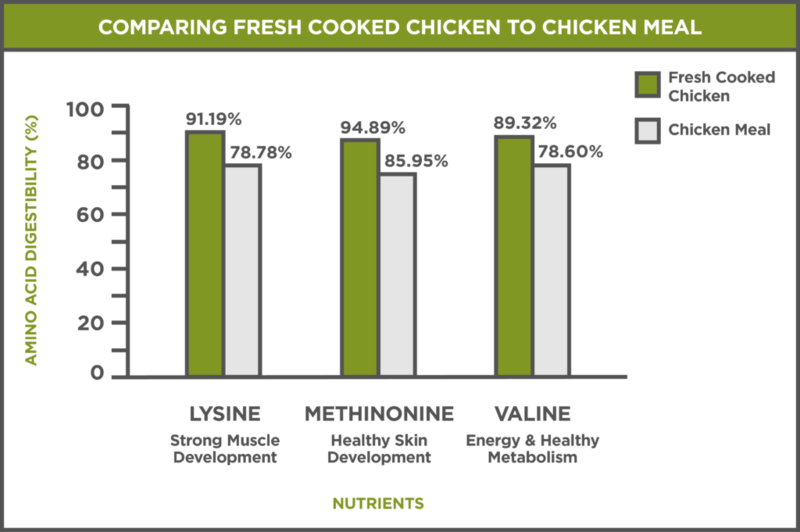 Fresh, cooked chicken also has a higher digestibility for all 10 of the essential amino acids pets need to thrive. The chart below shows the study’s findings across three of the most crucial amino acids. Why can’t people eat chicken meal/why isn’t it permitted in human foods? Chicken Meal can legally contain meats that are not human edible. Because meat can be rid of infectious agents through the rendering process, “4D” animals (dead, dying, diseased or disabled) are allowable chicken meal ingredients. While not always present, the possible inclusion of these ingredients makes chicken meal always considered unfit for human consumption by the USDA. What nutrients are lost in the process of making chicken meal? Why does this matter? Many of the naturally occurring vitamins and minerals in fresh food are lost in the cooking process. The higher the temperature and the longer the cook time, the more nutrients are lost. Chicken meal is cooked at very high temperatures for a long period of time. 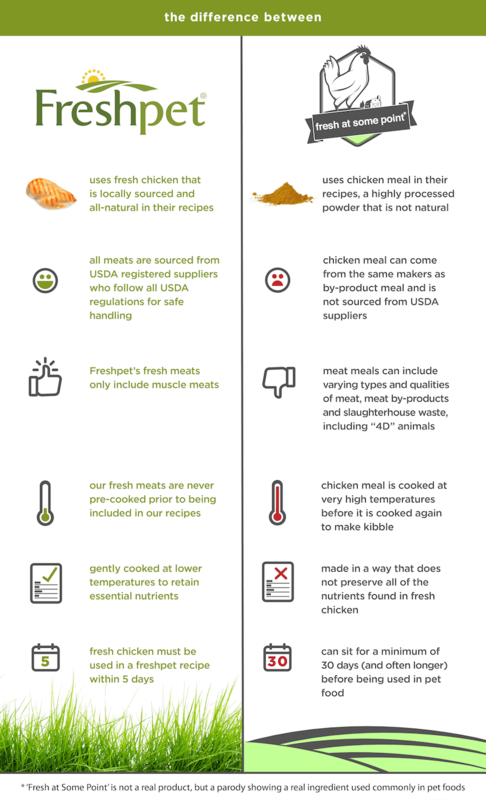 What’s the difference between by-product meal and chicken meal? By-product meal is made of the waste material left over after the parts for human consumption have been removed. By-product meal can contain things like feet, bones, heads and feathers, etc. Chicken meal is made of only chicken muscle tissue, though the sources of that chicken can be questionable. Should we assume that all brands using chicken meal may have 4D or waste chicken in them? No, the quality of chicken meal can vary and some chicken meal does not contain 4D chickens. However, there is no way of knowing for sure.